Colleton River Plantation is the premiere private residential golf community in coastal South Carolina. Two grand clubhouses anchor the plantation — the Pete Dye and Jack Nicklaus clubhouse. 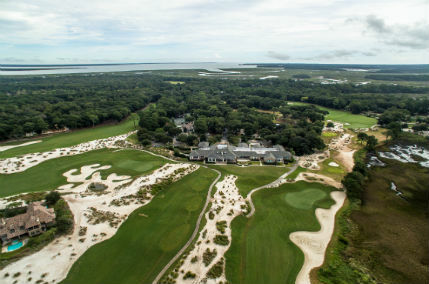 Voted Best Residential Golf Community in South Carolina, Colleton River has received major peer and industry recognition for championship golf, fine dining, distinctive custom homes and a friendly, welcoming, philanthropic membership living on what many say is the finest land in all of the Lowcountry. Colleton River Plantation is a member-owned community situated on 1,500 acres of majestic Lowcountry land surrounded by water on three sides, seven miles of scenic shoreline and direct access to the Atlantic Ocean.